Paper craft bookmark printable sheets and templates to make unique book markers for gifts and party favors - make some for friends, family or for yourself! 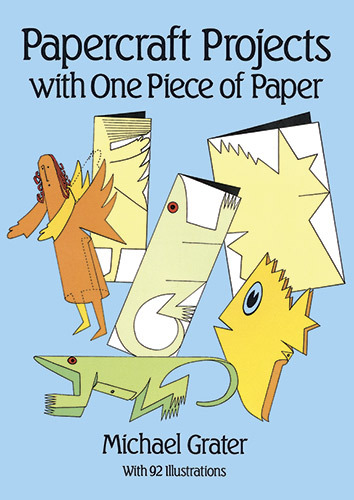 Papercraft bookmarks in full color ready to print and cut out, and bookmark templates you can print, craft, color and cut out! Make easy gifts for friends or yourself from these bookmark craft patterns - each sheet prints 4 book markers with the same design. 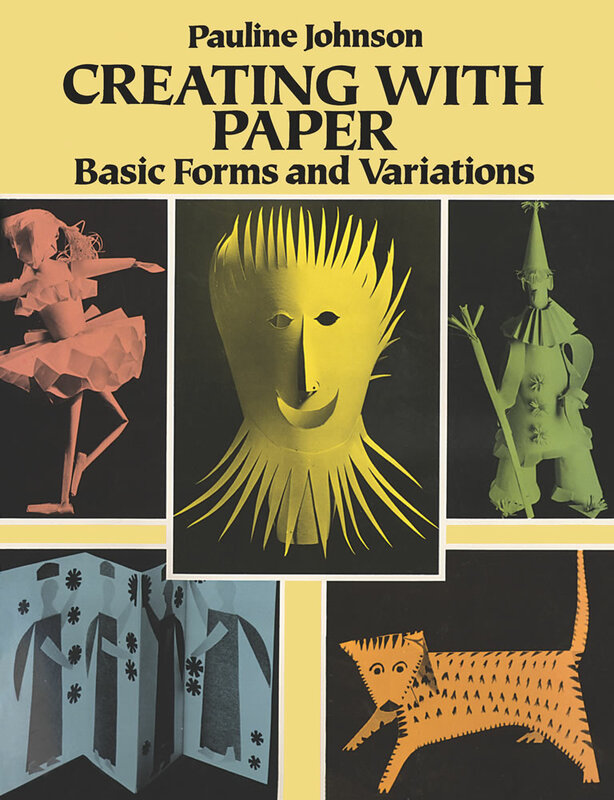 Full printable sheet size (8.5"x11") makes the most of your paper, with little or no waste. You can use bookmark printables as gift tags, too - make a unique gift and tag that's a reminder of your thoughtfulness every time it's used. Lovely painting of a woodland spring day with a poetic quote overlay. Original artwork for the background design painted by talented artist Douglas Hoch as a child. These bookmarks make a nice gift for mother, grandmother, teacher or a friend for any occasion. Erin Go Bragh - Jaunty green Irish shamrocks or golden coins with a wish for good fortune decorate these bookmarks for St. Patrick's Day. 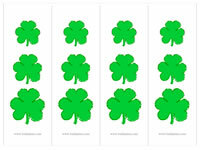 Shamrock bookmarks are PDF printables. Coin poem bookmarks are simple JPG images. The coin and poem bookmarks look spectacular when printed on photo paper. 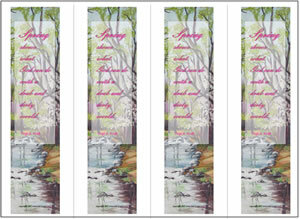 Both bookmark sets are full color one sheet printables-click an image to view and print your choice. Print a sheet of coloring bookmarks on heavy paper or card stock, then decorate with markers, crayons, glitter and stickers. Laminate the sheet for extra strength. Cut tags apart and punch a hole at the top to add a ribbon or string. Whether she's Mom, Mum, or some other special name, you can craft a personalized bookmark for your mother using these print and decorate templates. Print and color in bookmarks for Dads and Grandfathers. 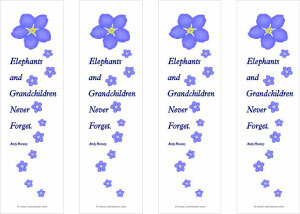 "Elephants and grandchildren never forget" - so said Andy Rooney, and he was ever so correct. Make a lovely gift for grandfather or grandmother that expresses this special thought about the bond shared between grandchildren and their grandparents. 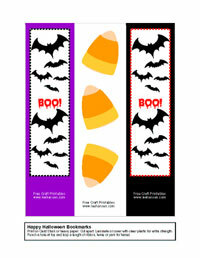 Halloween Bookmarks for Trick or Treat Fun! Bats, Candy Corn and BOO! 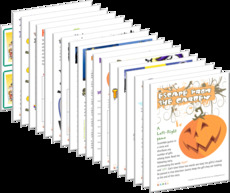 decorate these cute Halloween bookmarks. Each bookmark printable sheet prints 3 different designs (Adobe Acrobat PDF). Happy Holiday bookmarks make great gift tags, too - choose from a sheet of candy canes , evergreen trees, or an assortment of 4 different Christmas bookmark designs - all in full color! 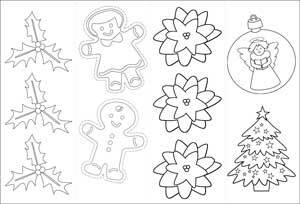 The outline images on this craft sheet are large enough to use for many other holiday crafts. You can make tree or window ornaments or you can use the art as digital stamps. 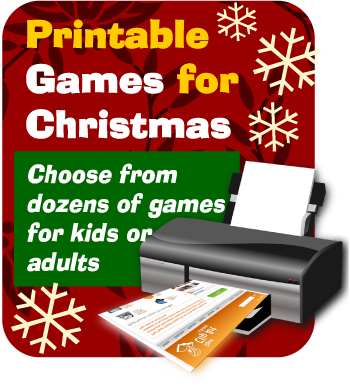 Cut the pictures out and paste them into scrapbooks or decorate your home made holiday cards or baked goodies! These fun to craft Christmas coloring bookmarks make nice gift tags, too.